Cheri moved to Carefree in 1968 and has been our office manager since 1980! She enjoys hiking in our beautiful desert, golfing and playing tennis but most of all, spending time with her children and five grandchildren. Hello, my name is Cyndi and I am the Front office patient coordinator at Carefree Dentists. I have been in the dental/medical field for many years. I love to make people smile! Not just on the outside, but the inside, too. I am a people person and love the fact that every day I go to work, I get to interact with someone new. I am known for my love of football—GO STEELERS—but some would say I’m crazy about traveling and outdoor activities. I would say I’m crazy about it all. 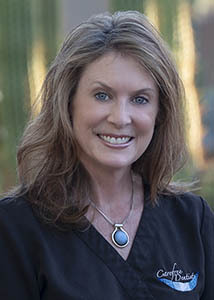 Jackie has been a hygienist since 1992. 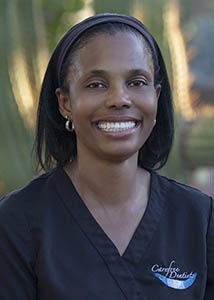 She joined Carefree Dentists in 2002, which she considers her second home. 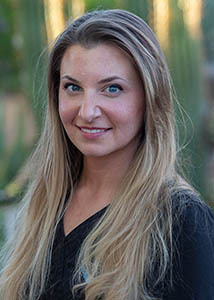 Her favorite part of her profession is interacting with and getting to know her patients as well as helping them with their dental health. She is married to a great guy. They have 2 boys and 2 dogs and stay busy with camping, fishing and exploring Arizona. 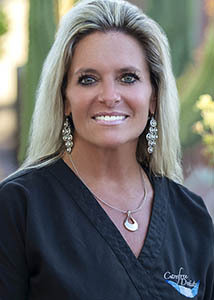 Lisa has been in the dental field since high school and has been assisting at Carefree Dentists since 2014. When not providing great care to our patients, she enjoys travelling internationally, photography and competing nationally with her dogs in agility competitions. She and her dog, Annika, won the National Championships in 2012! 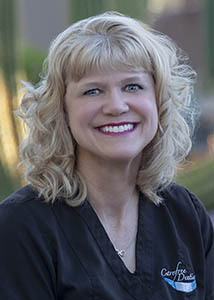 Lora has been practicing dental hygiene since she graduated from Indiana University at South Bend Dental Hygiene School in 1984. Lora and her family have been living in Arizona since 1990. She has 2 grown daughters, along with 2 granddaughters. Lora enjoys traveling, family, swimming, hiking, camping and anything outdoors! Mary’s passion for helping people led her to a medical career in 2001 at the age of 16. With a desire to continually improve, she challenges herself both professionally and in her personal life. Quality and attention to detail are of utmost importance in her patient care. Outside of work, a long list of hobbies are shared with her husband ranging from mild mannered board games and cosplay to exciting outdoor adventures such as scuba diving and kayaking. 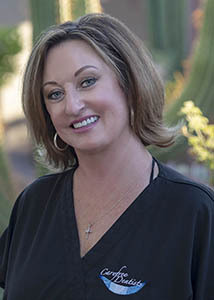 Tracey has been a hygienist since 1987 and first began working for Carefree Dentists in 1988! 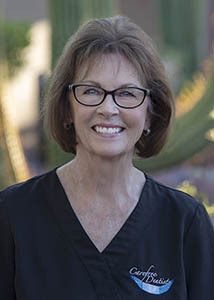 She enjoys working with children and since 1998 has volunteered her time teaching oral hygiene to children all over Maricopa County.